The Sigma S 60–600 mm f/4.5–6.3 DG OS HSM is such a unique lens that it would be really difficult to find its direct rival; that’s why our chart features lenses of different classes, from the previous Bigma version to 150-600 mm model and the Nikkor 200-500 mm. 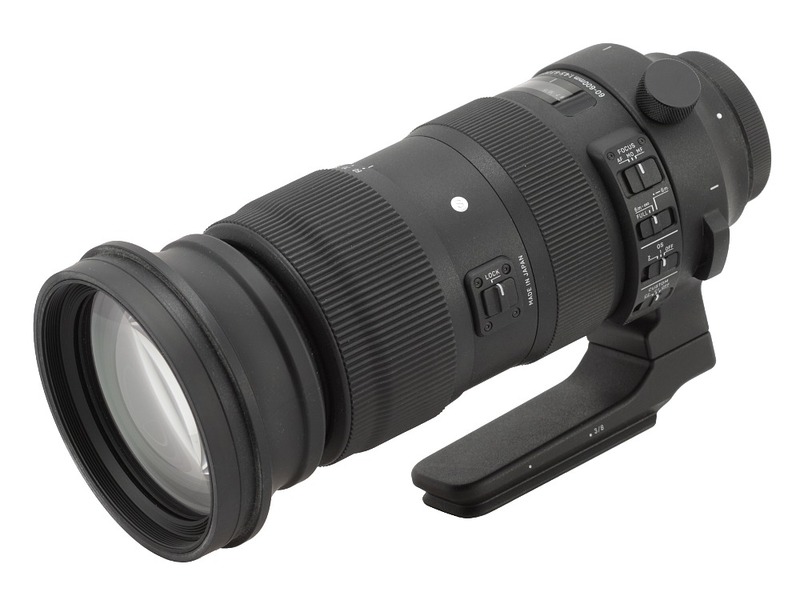 It is interesting that, despite a more complex optical design and the increase of zoom ratio from four to ten the new Bigma still remains physically lighter and smaller than the Sigma S 150-600 mm. It is rather distinctly bigger and heavier, though, than the previous Bigma and small wonder – in that case only the size of the entrance pupil increased from 79 to 92 mm. In the photo below the Sigma S 60–600 mm is positioned next to the Sigma A 35 mm f/1.4 DG HSM. The tested lens starts with a metal mount surrounding contacts and a well matted, ribbed tube. Inside that tube you can find a rear element, about 27 mm in diameter. The element is hidden less than 2 cm inside with the focal length set at 60 mm. 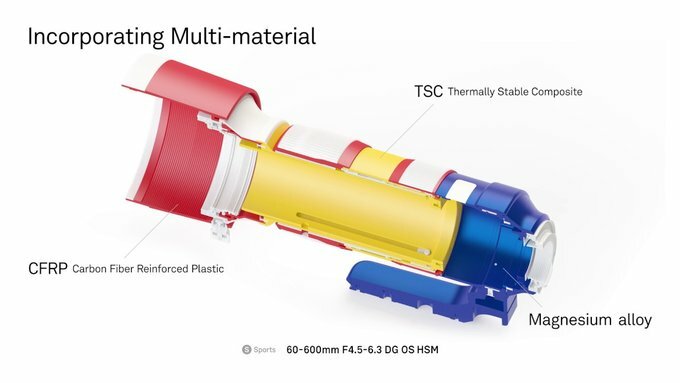 When you pass to 600 mm the element hides almost 6 cm deep, revealing the interior of the tube which is blackened but not so well and slightly shiny. The proper tube of the lens is made of metal. It starts with a smooth ring which increases its diameter and on that ring you can find a white dot, making an alignment with a camera easier, and the 018 number marking the production year. The next part is a very solid, adjustable tripod collar (you can change its angle) but, unfortunately, it can’t be completely detached from the body of the lens. It’s a pity. Sometimes you have to walk kilometres with such a lens, without either a tripod or a monopod. If you could leave the significantly big tripod collar behind the whole device would be much lighter and easier to handle. Moving further on along the tube of the lens you find an inscription with the name and parameters of the instrument over which there is a window with a distance scale expressed in feet and meters. On its left side you see a whole series of switches. The first of them, FOCUS , allows you to choose the focusing mechanism mode from three possible options: AF, MO and MF. Apart from standard positions (manual focus ring remains active even after switching the lens to AF) you get also the MO (Manual Override) option; it means you can switch to MF by rotating the focus ring even during continuous AF. The next switch allows you to limit the autofocus range and you get three autofocus limiter positions: FULL, from 6 meters to infinity and from the minimum focusing distance to 6 meters. Then you see an OS switch which controls the optical stabilization unit (modes 1, 2 and OFF) and finally the last switch, labeled as CUSTOM , with three positions, OFF, C1, and C2. They allow you to choose focusing mechanism modes saved previously after calibrating the lens with the help of the Sigma USB Dock. Further on there is a big manual focus ring, as wide as 38 mm. It is covered by ribs, allows you a very firm, comfortable grip. What’s more, it turns evenly and with very good precision. Running through the whole distance scale needs a turn through an angle of almost 160 degrees. Then you see an immobile part of the casing with an ‘S’ letter meaning the lens belongs to the ‘Sport’ series, an inscription ‘MADE IN JAPAN’ and a LOCK switch which can be set to block the lens at all marked focal lengths, not only one. The fact that you don’t have to touch the switch with your finger in order to free the focal length is a very useful functionality; it’s enough you move the ring more vigorously and the switch releases the blockade on its own – an ingenious and useful solution in our opinion. 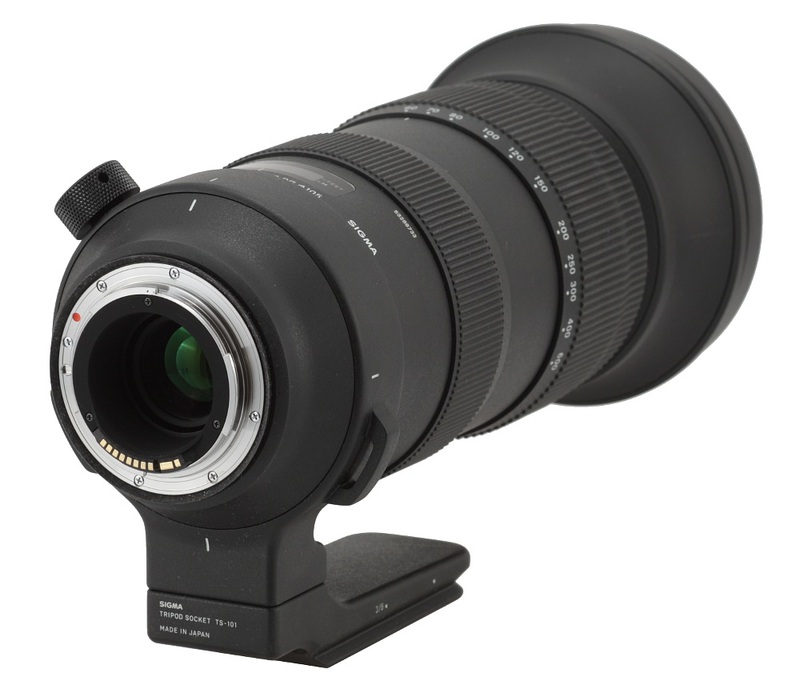 A zoom ring, as wide as 63 mm, is the next part of the lens. Most of its surface is covered by simple, comfortable, rubber ribbing under which you see focal length markings at 60, 70, 80, 100, 120, 150, 200, 250, 300, 400 and 600 mm. It’s worth noticing that the distance between 400 mm and 600 mm is very short and most likely that’s why there is no 500 mm focal length marking at all. 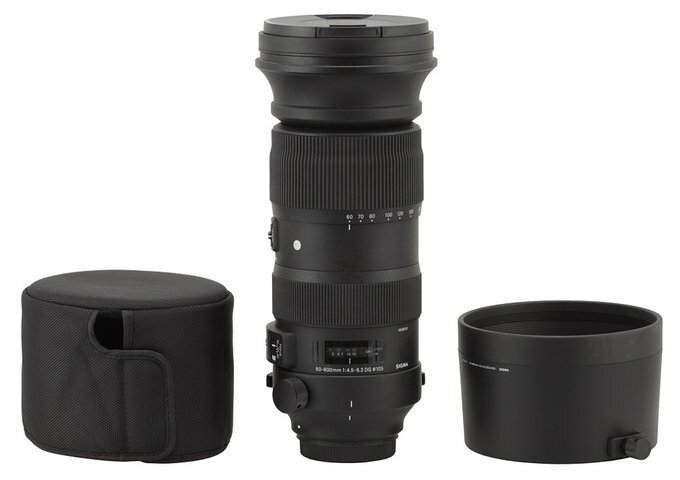 The rest of the lens consists of a part of the barrel which increases its diameter and houses the front element system. 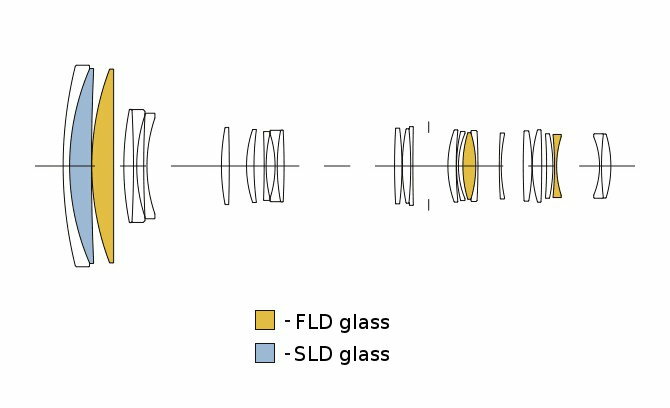 That part extends with the increase of the focal length on an uniform, very solid tube; that way the lens becomes by 10 cm longer at its maximum position. The front element is 92 mm in diameter and just slightly hidden inside the tube; it is surrounded by a non-rotating filter thread, 105 mm in diameter. 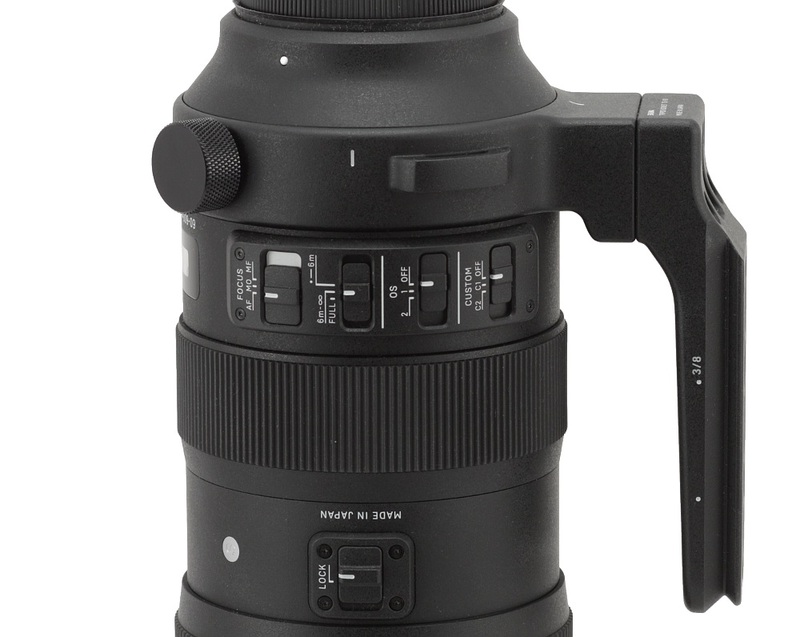 The lens doesn’t have a typical mount hood because the hood is attached with a special locking knob. The producer emphasizes the fact that, in order to reduce the weight of the instrument, they incorporated multi-material such as magnesium composites, thermally stable composite (TSC), and carbon fibre reinforced plastic. The barrel also features special sealing and forefront and rear elements incorporate water and oil-repellent coating. When it comes to optical construction you deal here with 25 elements positioned in 19 groups. The producer declares that among them you can find three FLD elements (F low dispersion) with properties of fluorite and one made of SLD glass. Inside you can also find a round aperture with nine blades which can be closed down to a value from f/22 to f/32, depending on the focal length. 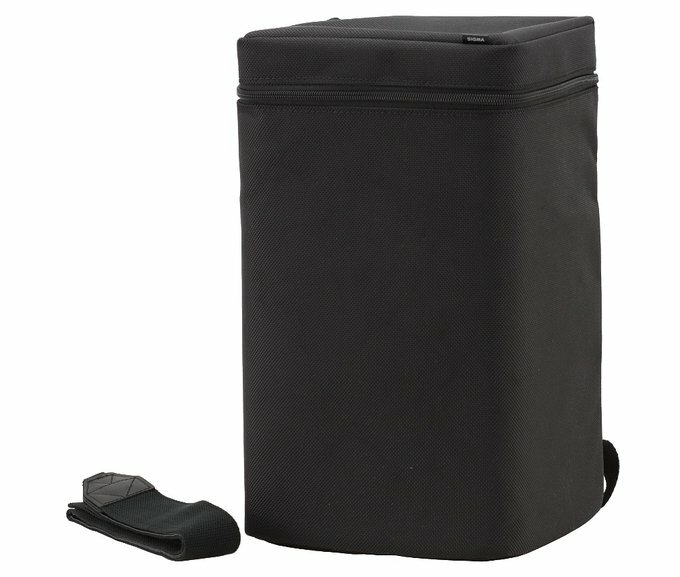 Buyers get in the box: a hard case with a special shoulder strap, a hood with a cloth cap, a lens strap, and both plastic caps. It is a nice thing that, apart from the cloth cap, you also get the front plastic one. Not everybody wants to walk around with a hood and be forced to use its cloth cap. 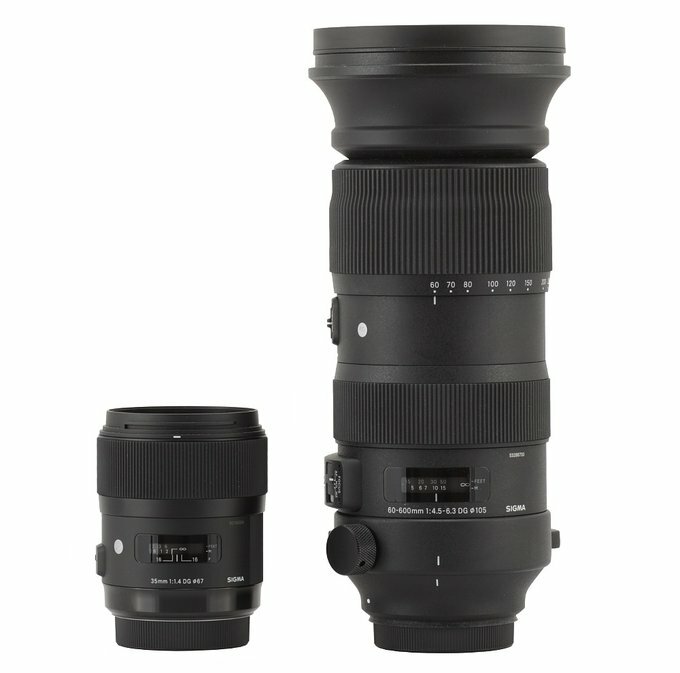 Sigma declare that the efficiency of the optical stabilization system of the tested lens is supposed to amount to 4 EV. In order to check that claim we took several dozen photos at 600 mm with shutter speeds ranging from 1/640 to 1/10 of a second with the stabilization switched on and off. 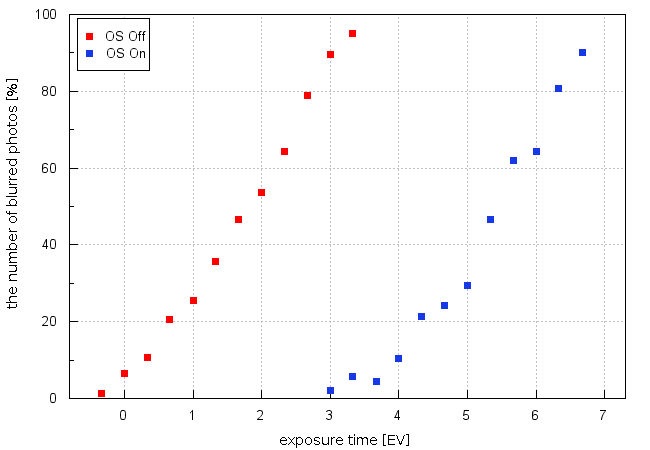 Then we calculated the percentage of blurred photos at every speed and presented the results as exposure time function graph, expressed in EV (with 0 EV being the equivalent of 1/500 of a second) which can be found below. The maximum distance between both curves reaches 3.7- 3.8 EV and so we assess the stabilization efficiency. The result is perhaps a tad lower than declared (but completely in accordance with the given value within the margin of error) and we think it’s still good enough to allow you comfortable shooting at such long focal lengths.